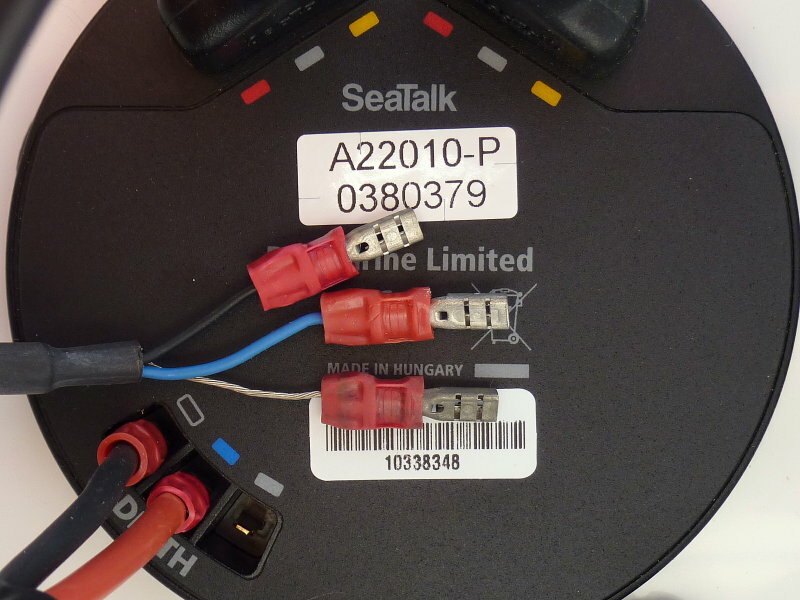 Preface: This article assumes you’re vessel is not yet into the 21st century with regard to your marine electronics and that you’re not using NMEA 2000 transducers. It’s mid season, your boat is in the water, and your old depth sounder dies. What are you to do? There is often a good chance that your transducer is fine and it’s only the display that has died. 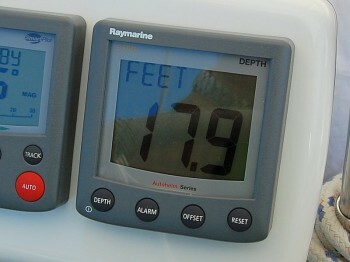 Despite the transducer being old there is a chance it may be the same frequency as the new depth sounder. If it’s a 200Khz transducer it will likely work with Raymarine and some others that are 200Khz. I’ve done this a number of times and it works. 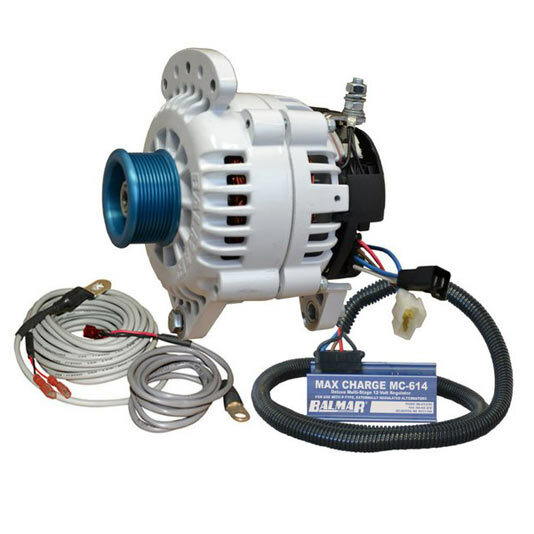 While certainly not an ideal, or the perfect solution, mixing old and new, this can save you many hundreds of dollars in a short haul expense if you need the changing out of a drilled through the hull transducer. Either way, if you’re in a pinch, it is worth a try. 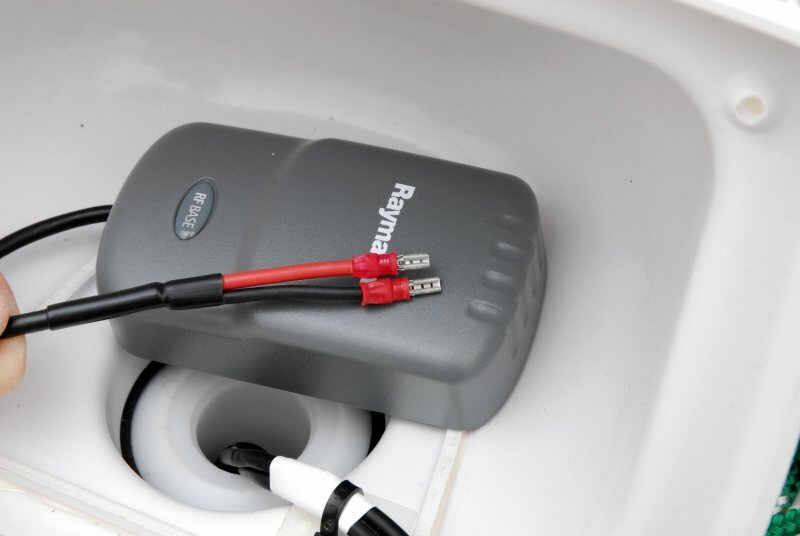 The new transducer that came with the display can always be installed when you haul for paint, or for the winter, if you are in an area where the water gets hard for half the year. To use an old transducer you will want to ascertain what the model number or brand is and then hopefully you can track down the frequency. Often times the old depth sounder manual will tell you the frequency in the specs. The transducer frequency must match that of the display head to make it work. 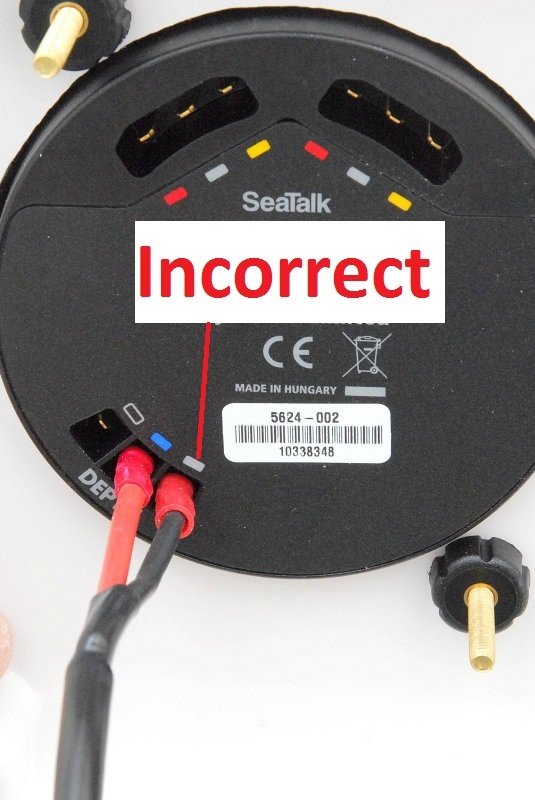 In order to do this you will likely need to cut the old connector off the end of the coax. Many older depth sounders used an RCA connector and some used a BNC type. The center conductor of the coax cable is hot or the signal send wire and the shield becomes ground or the signal return wire. To confuse everyone the new Airmar transducers, Raymarine, Garmin, Furuno and many others use Airmar as their transducer supplier, are often three wires, hot, ground and a shield. 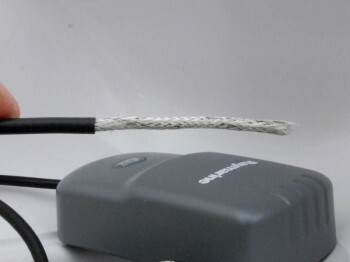 When using an old coax transducer just make the center conductor hot and the shield the ground. On the Raymarine ST-60 for example you can just ignore the shield input and use ground/black and hot/blue and it will work fine if it is a 200 kHz unit. Most of the old transducers for depth were either 200 kHz or 210 kHz but there were also some other frequencies used as well. If if your old transducer is a 210 kHz it won’t work at all or not accurately with a newer 200 kHz display. For this post I used a 31 year old Radarsonics 200 kHz transducer with a 2010 Rayamarine ST-60+. 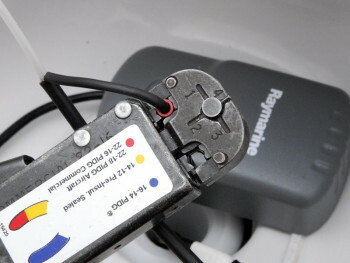 This transducer also worked with a 2006 ST-60 non + model before it got hit by lightning. Interestingly enough the ST-60, and every other piece of electronic gear, was wiped out by that lightning strike. The only thing still working was this trusty 31 year old Radarsonics transducer. I also have the Raymarine/Airmar P-79 unit that came with the ST-60 mounted as a “shoot through” for back up, but currently disconnected at the instrument. 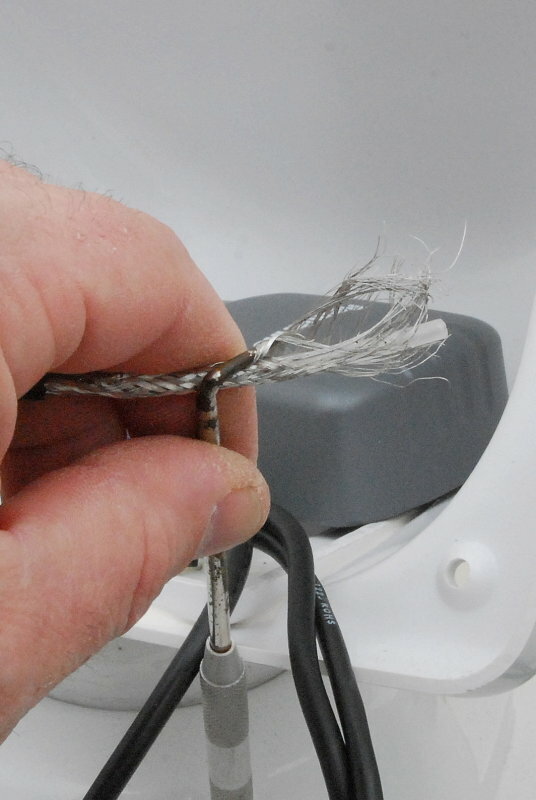 STEP 1 – Strip the jacket back about 3″ and be careful not to cut the shield wires of the coax cable. 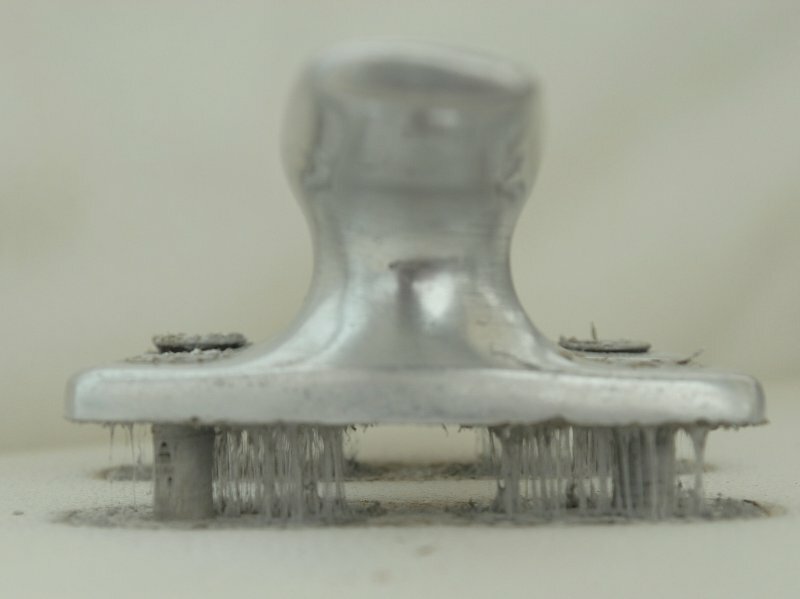 STEP 2 – Using a mechanics pick or other pointy object carefully unbraid the shield wires all the way back to the wire jacket. STEP 3 – Once the shield strands have been unbraided carefully straighten and then twist the wires into a single conductor. STEP 4 – Cut a piece of heat shrink about 3″ long which is large enough in diameter to get two smaller pieces of heat shrink under, one for the pos/send and one for the neg/return wires. Once this is on you can slide it out of your way for now. 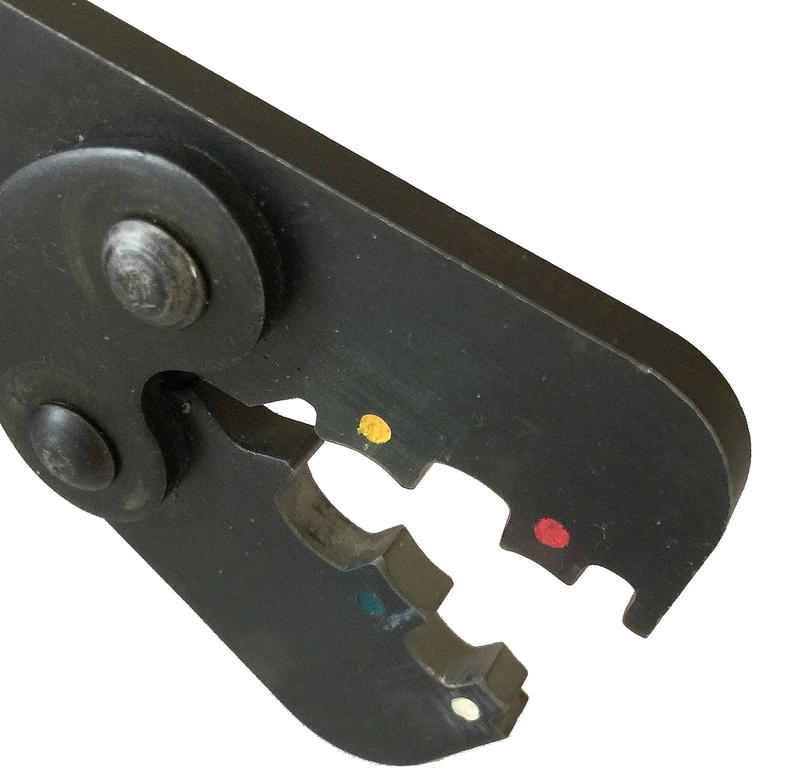 STEP 5 – Using a smaller diameter piece of black heat shrink slide it over the twisted shield wire leaving enough poking out the end for a crimp terminal. STEP 6 – Apply a heat gun to shrink the tubing then simply crimp your terminal to the negative wire. TIP: Use a heat gun, rather than open flame, on heat shrink tubing. It will melt more evenly and will result in less burning and blistering of the heat shrink. STEP 7 – When the negative/return wire is done strip a little off the end of the main conductor to fit a crimp terminal. Next wrap the main conductor with aluminum foil, this replaces the shield you just removed, and slide some red heat shrink over it. Now hit it with the heat gun and shrink it. 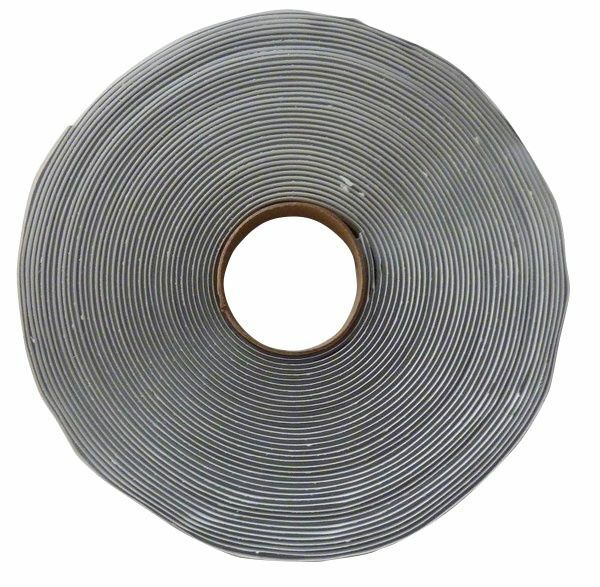 This is what the finished cable ends will look like. You don’t have to use red for your signal send wire and could ideally use whatever color matches your new instruments color codes. In this case, with a Rayamrine ST-60, that would be blue. For DC simplicity I chose to used the standard red/black for pos/send and neg/return. 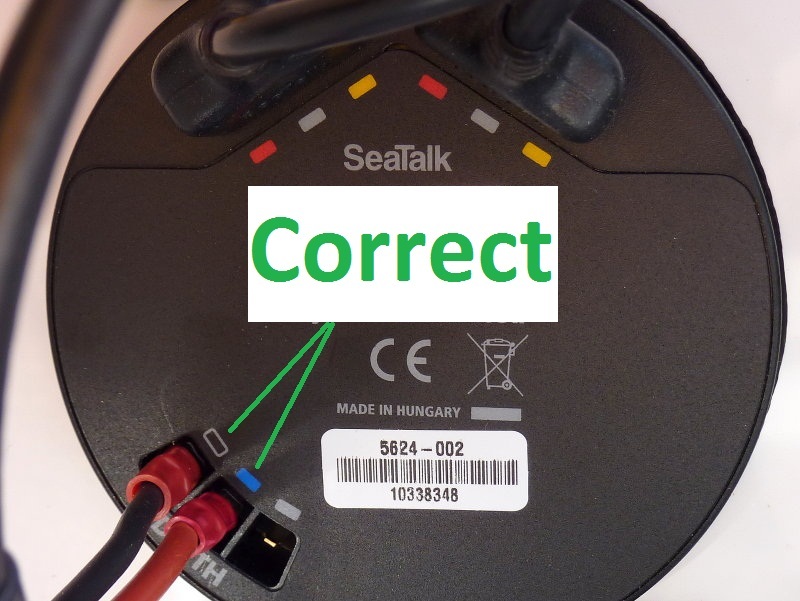 This photo shows how not to hook you your old transducer to an ST-60 display. The silver square on the ST-60 is simply for the third shield wire of the newer Airmar three wire transducers. The blue is hot/send and the black square is for the neg/return wire. 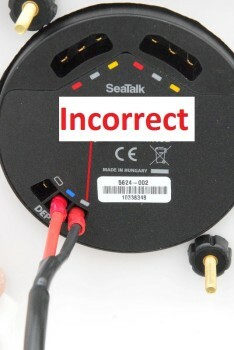 The red wire in this photo is in the correct socket but the black/neg/return signal wire is not. 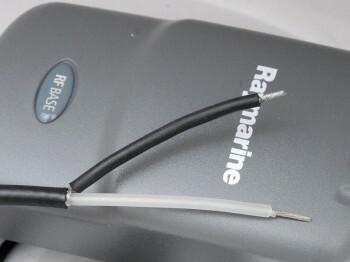 The three wires pictured here are from the factory Airmar transducer that came with the Raymarine ST-60 Depth instrument. 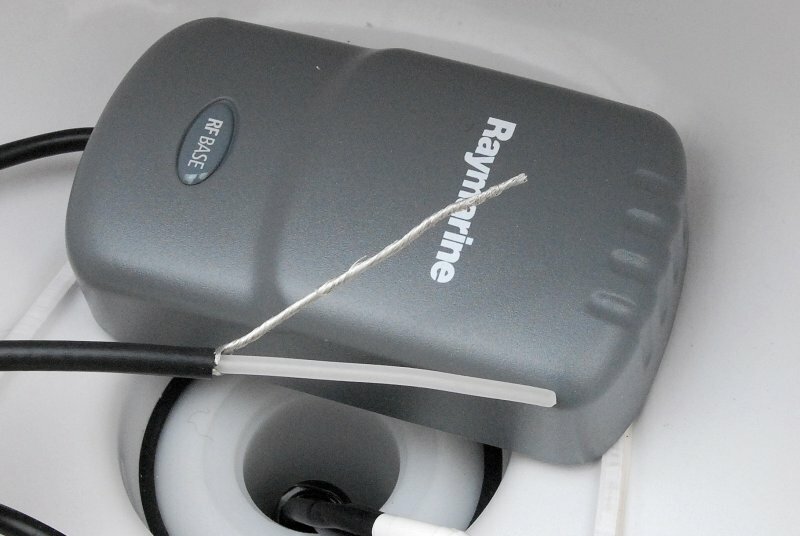 Just because they no longer use a two wire coax does not mean an older two wire transducer won’t work in a pinch, or even for many, many years.. 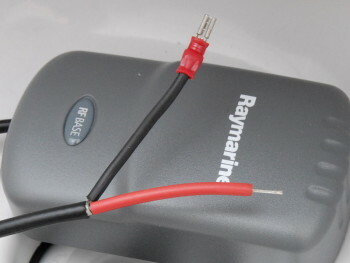 Here is how to correctly connect an older 200 kHz transducer to a Raymarine ST-60 depth display. 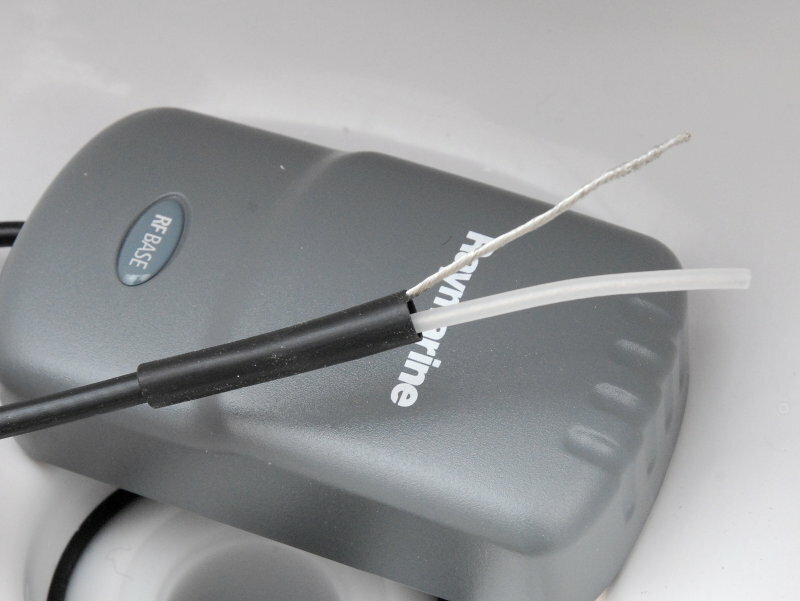 Your transducer will work very well wired this way and can buy you time until a haul out. Shield goes to the black socket and the center conductor goes to the blue socket. For the sake of keeping a back up I am still using the now 31 year old transducer despite having the new one completely installed up to the back of the display, and ready at a moments notice. It’s always nice to have a back up. While I am not recommending this as a primary installation it’s a good way to get you through until a haul out. This of course assumes it was your display that failed and not the transducer. Because I left both transducers wired and in-place it has given me an opportunity to compare both transducers side by side. They perform identically down to within 0.1 feet. Both also perform at about the same response speed and are equally as fast, or at least no discernible response time difference. Not bad for a 31 year old transducer. This wiring of the new display to the old transducer should take you about 20 minutes to perform, and it works very well.